We are the first French English dictionary for iPad!!! 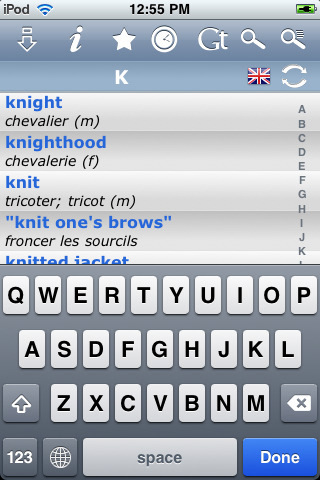 French English Dictionary & Translator is an easy to use, user friendly dictionary, with a very big database (more than 64,000 translation pairs). No internet connection is required. – Spanish, French, German, Italian, Brazilian Portuguese, Russian, Greek, Turkish, Dutch, Finnish, Swedish, Danish, Czech, Slovak, Croatian, Romanian, Bulgarian, Polish, Hungarian, Latin and Esperanto.